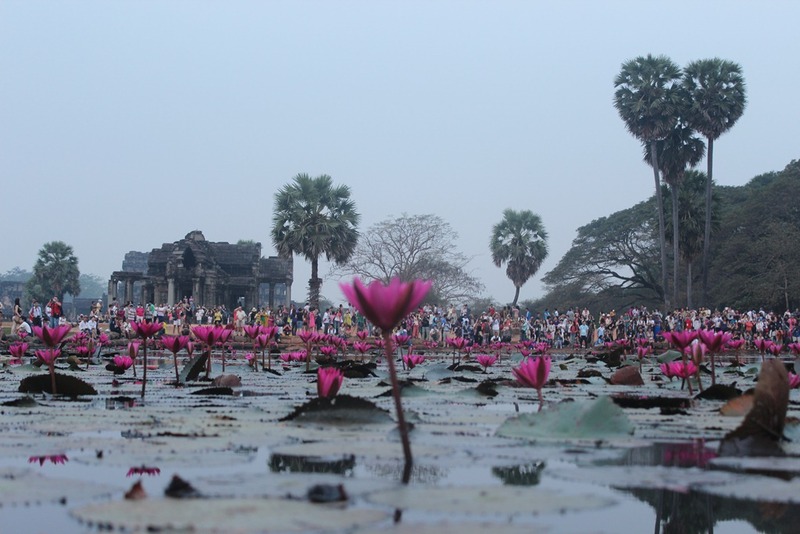 Over a dozen temples exist in the Angkor Archaeological Park, and there are even more outside of the Park. It was hard to choose which temples to visit. 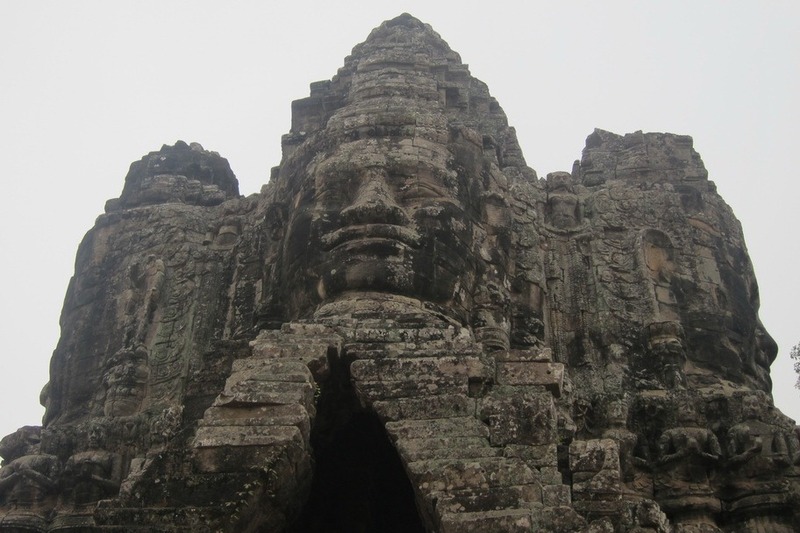 I’ve already gone over our favorite temples – Angkor Wat, Angkor Thom, Ta Prohm, and Preah Khan. 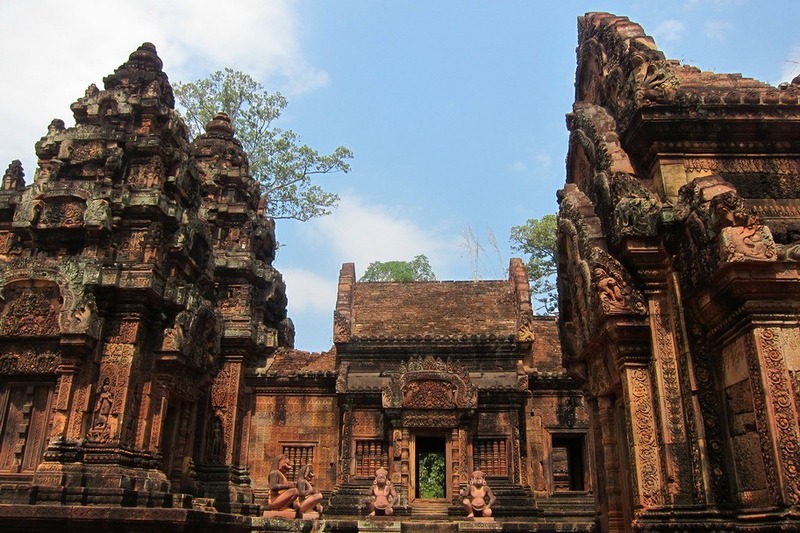 Here are the other temples we visited during our three days at Siem Reap in order of preference: (1) Banteay Srey, (2) Ta Som, (3) Banteay Kdei, (4) Phnom Bakheng, and (5) Neak Pean. 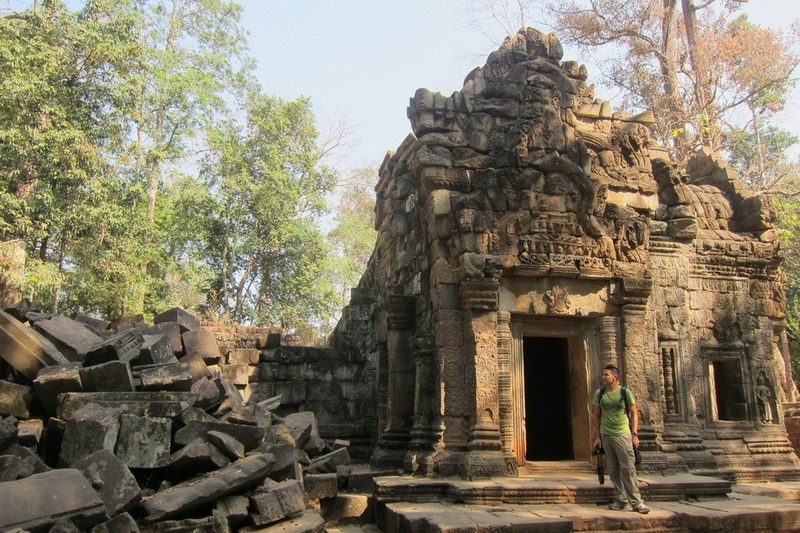 I enjoyed Banteay Srey quite a bit. 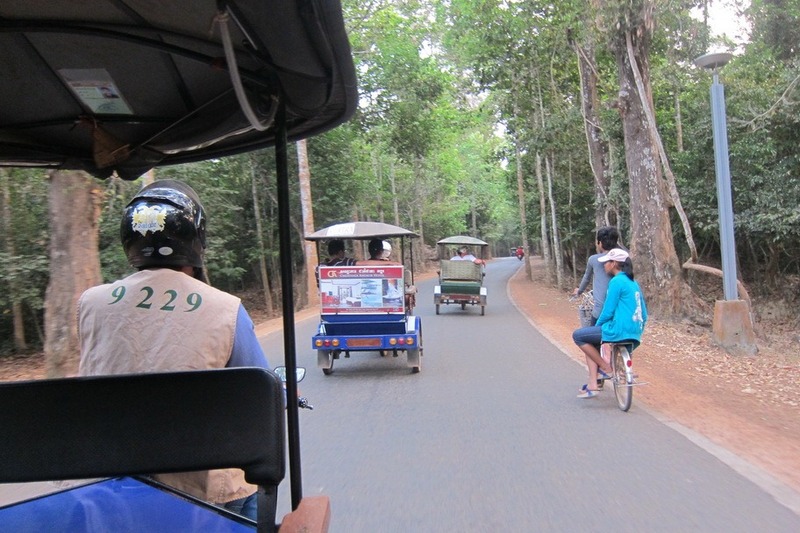 It is about 38 kilometers outside of the Angkor Archaeological Park and takes about 45 minutes by tuk tuk. 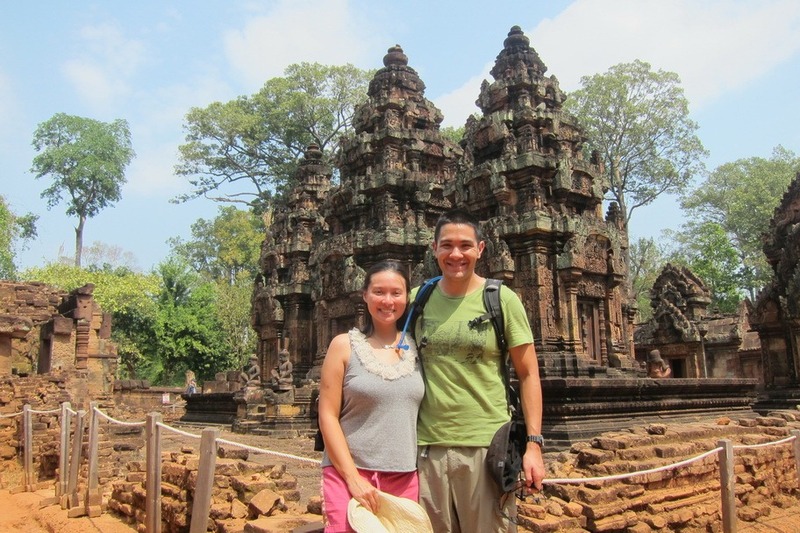 Although it is far away, it was nice for us to visit a few temples in the morning and then take the trip out to Banteay Srey. It was breezy in the tuk tuk, and it was interesting to see the less developed countryside. 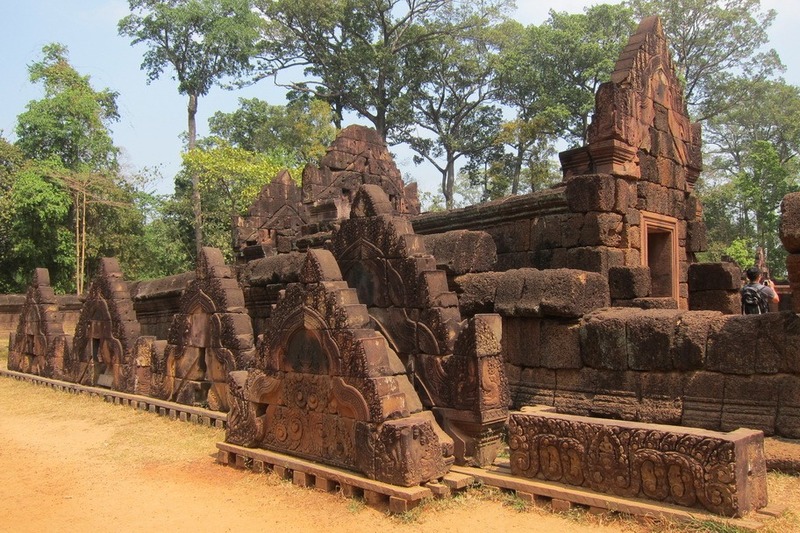 Banteay Srey is different from the other temples we visited since it was made of pink sandstone. I Feel Like Lara Croft! 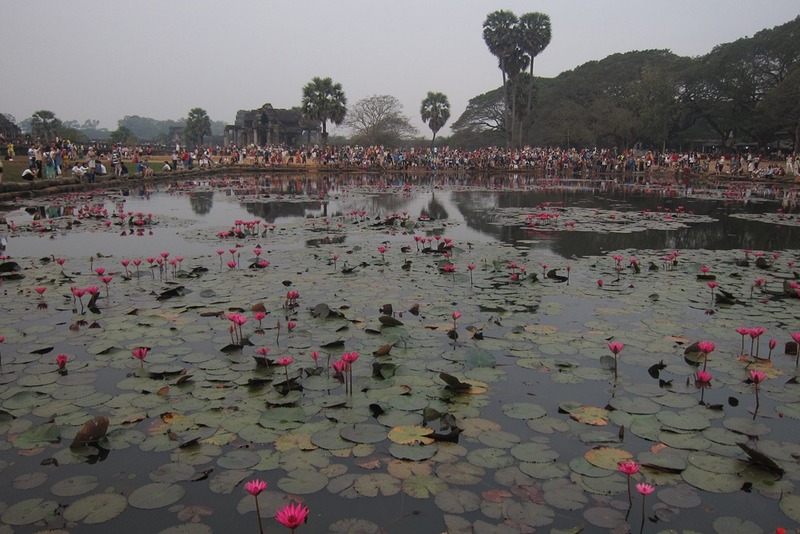 I’m not a Lara Croft fan but I couldn’t help remembering that certain scenes from the 2001 movie were filmed at the Angkor Archaeological Park. In particular, during one scene, Angelina Jolie meets a mysterious little girl at Ta Prohm. 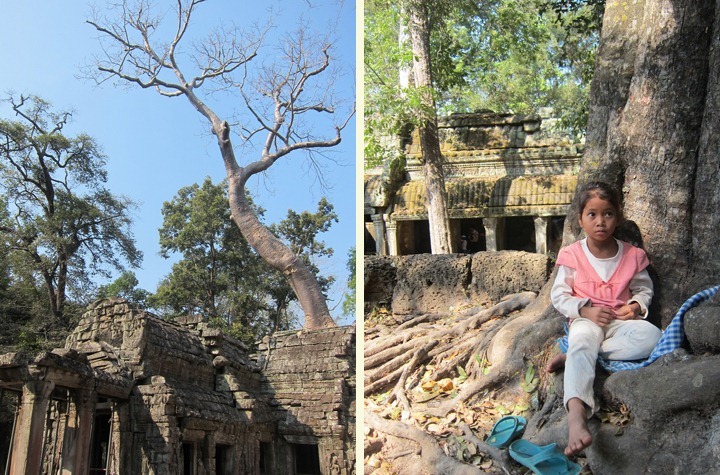 I too met a little girl at Ta Prohm. She was sitting among the ruins and graciously agreed to me taking a photo of her. Mr. Selfish and I purchased a 3-day Angkor Archaeological Park for $40USD, so we maxed it out and saw as many temples as possible. 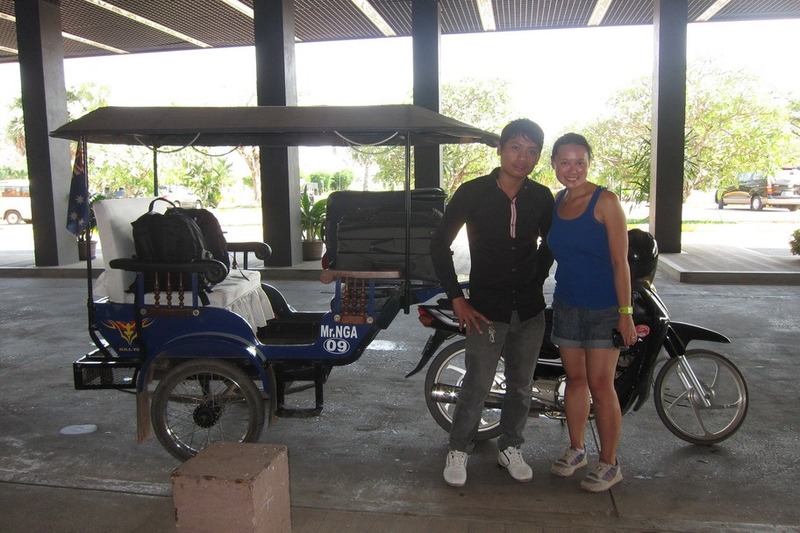 In order to get around, we hired a tuk tuk driver, Mr. Nga. He was well-priced, always punctual, provided us with bottle water free of charge, and constantly had a smile on his face. 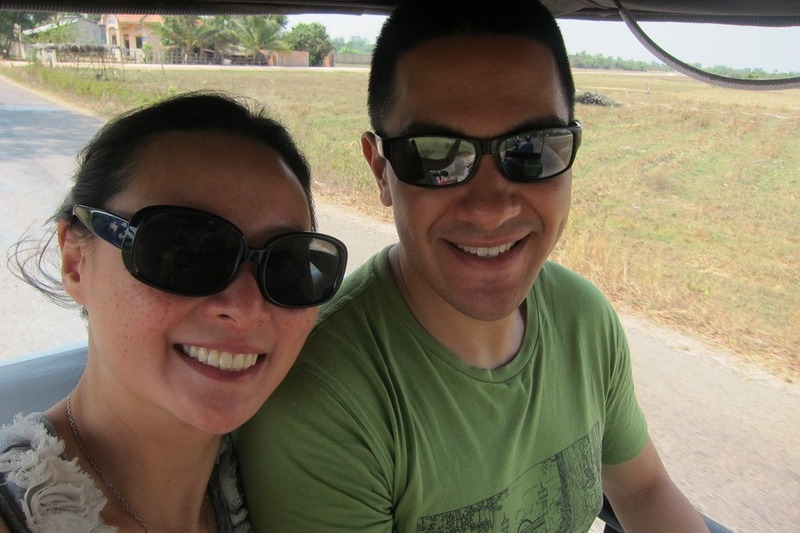 We didn’t have to worry about negotiating with tuk tuk drivers every day because we had Mr. Nga. 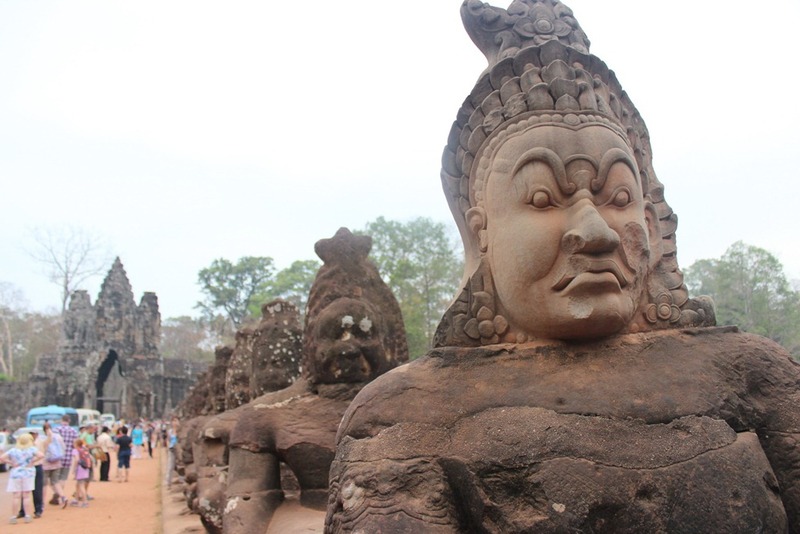 Although Angkor Thom is not as well known as Angkor Wat, it is every bit as epic. Angkor Thom (translated as the “Great City”) was built in the late twelfth century by King Jayavarman VII as the capital city of the Khmer empire. It is a walled city with a surrounding moat. There are four gates into Angkor Thom with the most scenic gate being the South Gate. The road leading to the South Gate is lined with many different sculptures – all with different expressions on their faces and in varying states of repair. Each gate is then crowned with four faces. 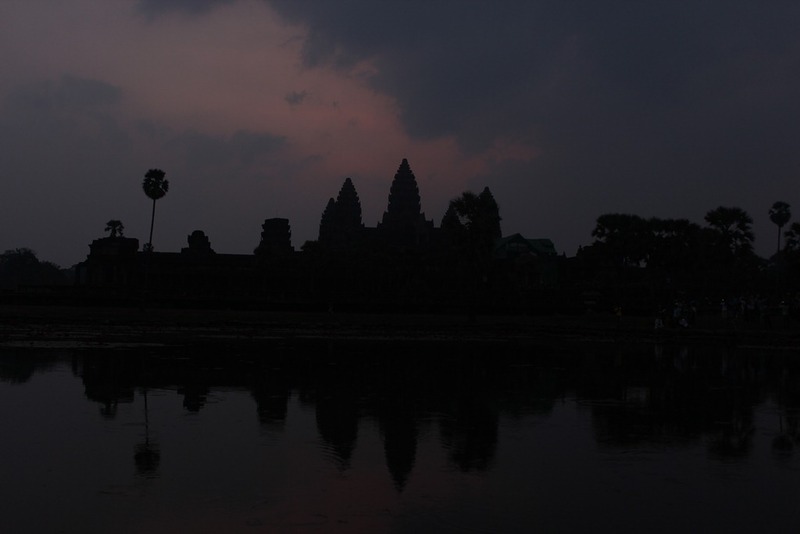 On our first morning in Siem Reap, Cambodia, Mr. Selfish and I woke up at 4:30am. 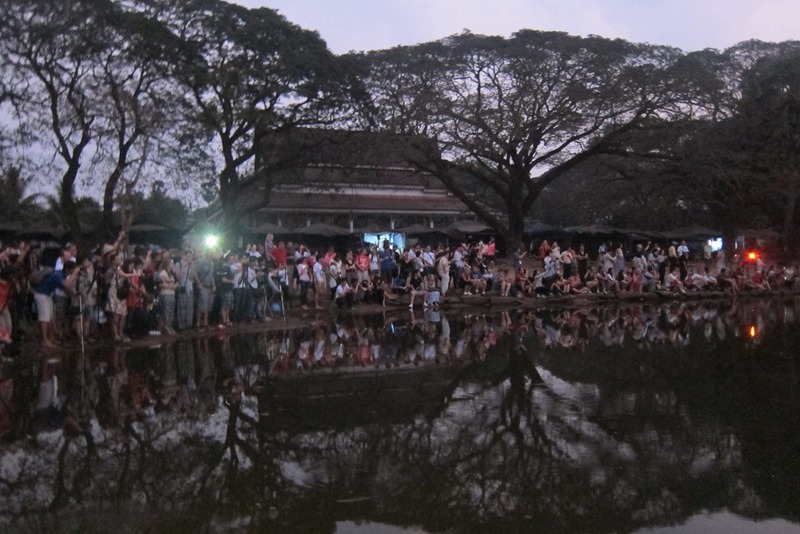 Our tuk tuk driver picked us up at 5:00am to take us to Angkor Wat for the legendary sunrise over the water. Unfortunately, we picked a cloudy day, and we couldn’t even spot the sun until hours later. 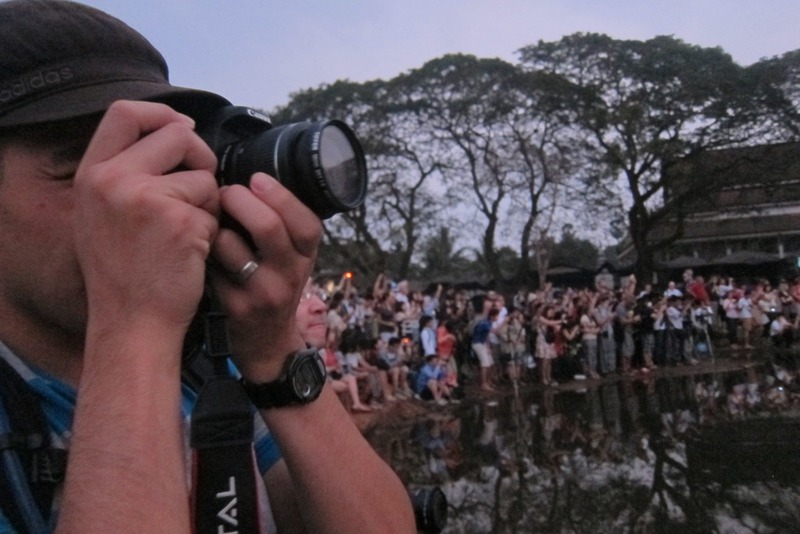 It was nevertheless an experience trying to jostle our way to the front despite the hundreds of other photographers, who wanted that epic photo. Even though we were all the way in the front and at a good angle, the photos were only mediocre due to the lighting and the massive amounts of construction being done on Angkor Wat.